This statistic shows the number of chickens worldwide in 2017, broken down by leading countries. In that year, there were approximately 1.97 billion chickens in the United States. 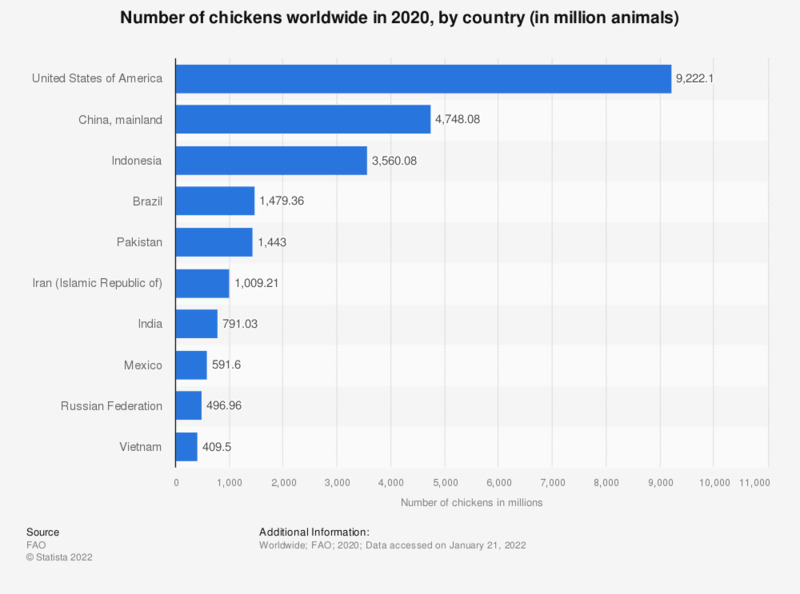 Indonesia followed on the next rank with about two billion chickens. Statistics on "Honey market worldwide and in the U.S."